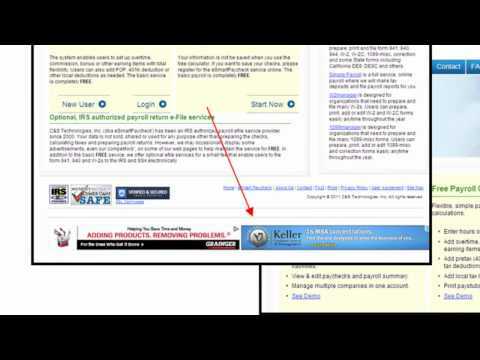 Prepare and print paychecks and/or paystubs. 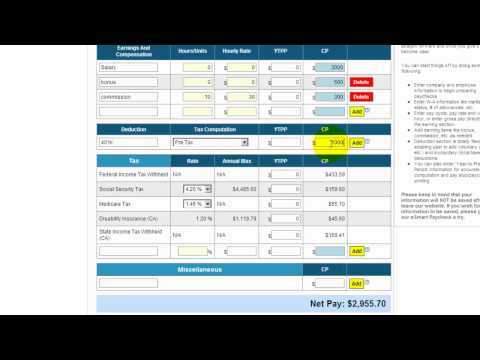 Calculate 941, 940, etc and export paycheck details. Calculate tax deposits, including employer’s liabilities. 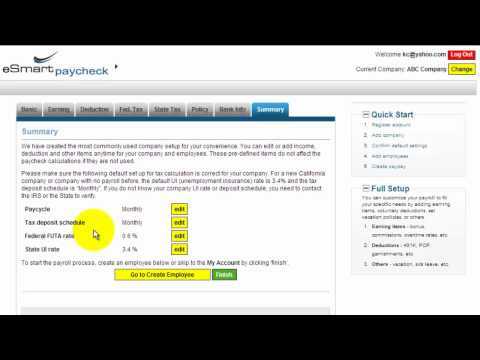 View & edit paychecks and payroll summary. Manage multiple companies in one account. The system enables users to set up overtime, commission, bonus or other earning items with total flexibility. Users can also add POP, 401K deduction or other local deductions as needed. Flexible, simple payroll tax and deduction calculations. Add overtime, bonus, commission or any earning items. Add pretax (401k, e.g. ), non-tax (POP) or after-tax deductions. Add local tax items as needed. Your information is not saved when you use the free calculator. If you want to save your checks, please register for the eSmartPaycheck service online. C&S Technologies, Inc. (dba eSmartPaycheck) has been an IRS authorized payroll efile service provider since 2000. In addition to payroll tax calculations, we offer optional, IRS authorized payroll deposits and eFile services. Your data is not sold or used for any purpose other than preparing the checks, calculating taxes and preparing payroll returns. We have no parent, affiliate companies or other divisions that have access to your data. 2014 IRS form 940 and Schedule A (Credit Reduction States and Rates) have been released. eSmartPaycheck now offers optional, for fee, payroll efile services for filing payroll form 941, 940, W-2 and some State forms electronically. eSmart Payroll provides IRS authorized payroll efile services. Prepare, print and file form 941, 940, 944, W-2, W-2C, 1099-misc, correction and convert California DE9C ICESA, MMREF to XML, etc.